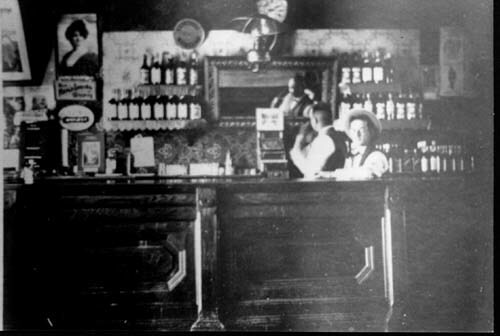 In about 1899 Lew Travis, whose ranch joined what is now Big Piney on the north, built a log, sod-covered hotel and a saloon which was known as the Bucket of Blood. 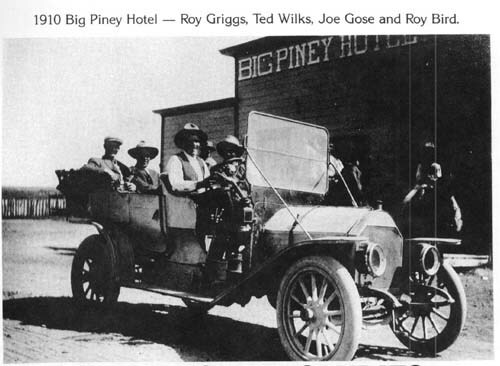 It was sold to Norris and then to Heitz and in 1913 was purchased by Frank D. Chapel who moved it to another lot and built the Big Piney Hotel. 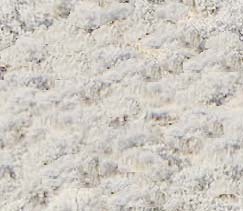 The second photo shows the Bucket of Blood in the center background. 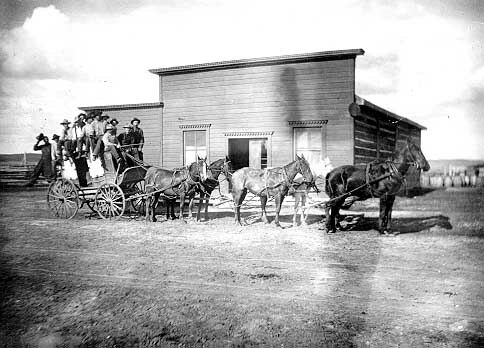 The caption reads, "The first cars brought to Big Piney on sleds by George (Gull) Whitman, 1911, in front of garage at Big Piney, Wyoming."